Have you heard? Heidi Swapp is having a random drawing to win ALL of the bottles of Color Shine? All you have to do to win is pick up one of her wood albums at Michaels and get to work making it your own, post pictures on Instagram of your process and/or finished project and tag it with #hswood album and add a shout out to Heidi by adding @hkswapp. That's it! That's all you have to do to be entered to win. 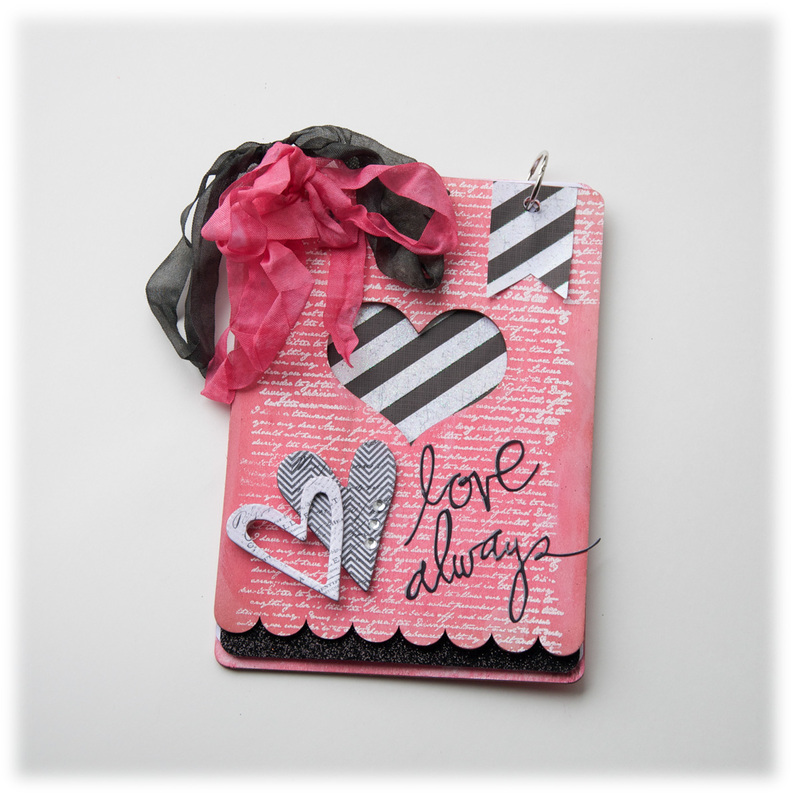 For my album I tried heat embossing the heart album. 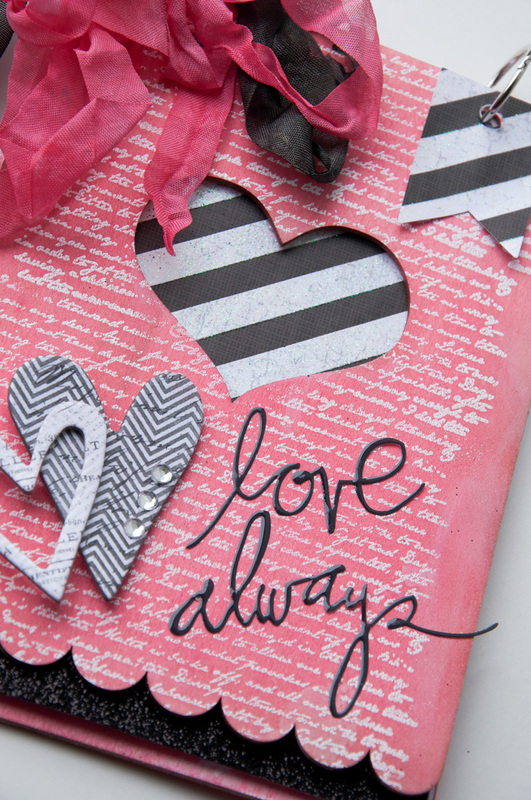 I used Versaark ink, script stamp and white embossing powder. Once I heat set the embossing powder I misted the cover with Primrose. I finished the album off with some of Heidi's buzzwords and mistable hearts. 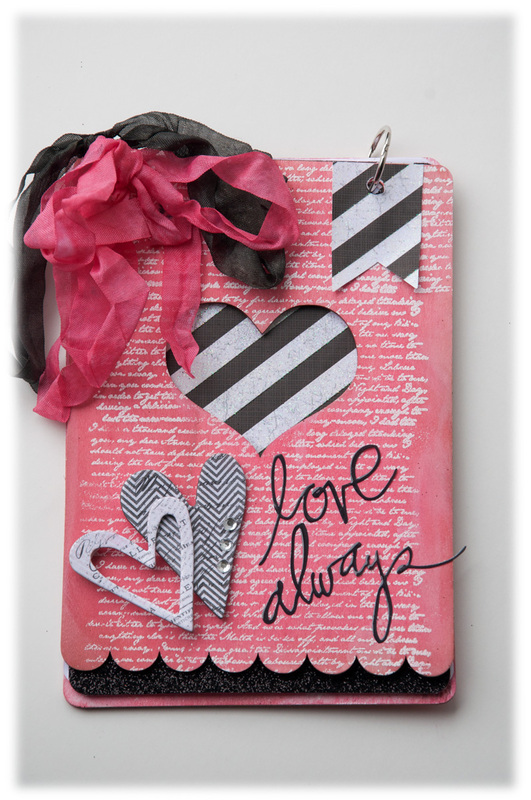 The black and white glitter paper is from her Sugar Chic paper pad. All items available at Michaels.